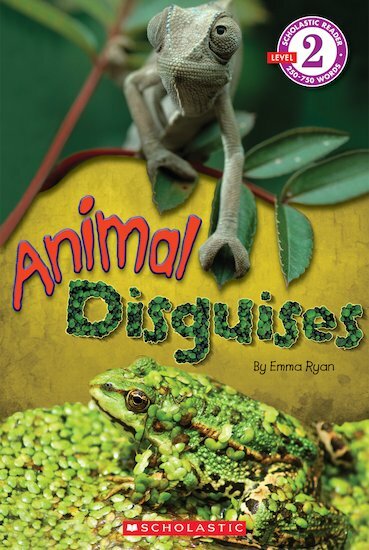 Find the cleverly camouflaged animals – and then find out all about them in this enthralling book, which has full-colour photos on every page. While for some animals it’s an advantage to be bright and colourful, the ones featured in here are best-known for their ability to hide. And now it’s your turn to find them! This real-life version of hide-and-seek is full of fascinating facts to learn, and secretive animals to discover in beautiful photographs. The wide variety of animals covered, from land to sea to sky, means you are bound to find out something new and exciting! NC920L Lexiles are the global standard in reading assessment. They are unique as they are able to measure a child and a book on the same scale – ensuring the right book gets to the right child at the right time.